As a SUP athlete I love events that test my skill on the water and push my abilities to new levels. I want to be as well rounded of an athlete as I can be. 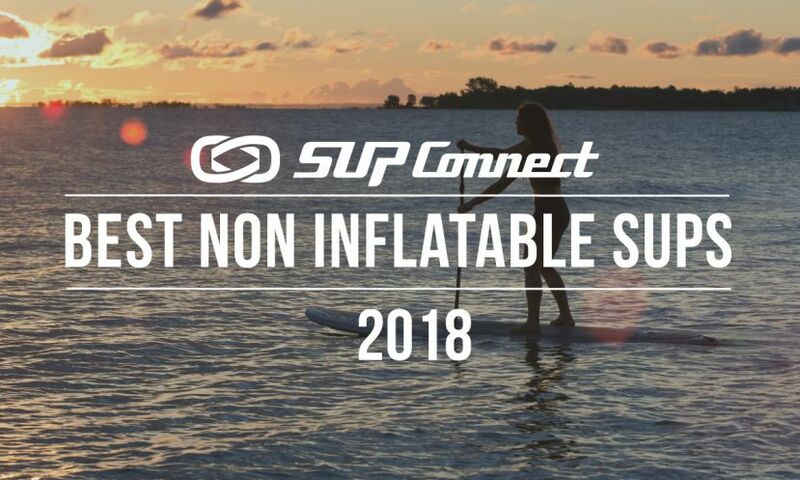 This event is growing every year and hosts races that test your SUP skills on many levels. This review is based upon my racing experience and is my personal opinion. The flat water race tests your speed and endurance. The course this year was a fun three mile course with left and right shoulder turns. This race featured both Men's and Women's fourteen and twelve six board classes. The award ceremony was shortly after the race ended followed by a cool grill out and night paddle. This race was pretty dialed in and was fun for both advanced and beginner paddlers. The Downriver race tests your speed and whitewater skill. This course was a mile stretch on clear creek starting just below the main whitewater park and finishing on Washington St. This section featured four main rapids that are class two. The lines through these rapids were pretty easy to read making it pretty beginner friendly and paddlers were allowed to paddle through rapids on their knees. I would have loved to see this race be a little longer and more challenging. I did love the fact that it was a beginner friendly race, giving paddlers new to the river a chance to see what a downriver race is like. Unfortunately, there was a small timing error, and a few riders had to rerun their race. I imagine as the event grows the system they use for timing will become more advanced than just a tablet stop watch. The Surf Comp shortly followed the downriver race. This event tested a paddlers ability to surf and perform tricks on a standing river wave. The competitors were separated into Men's, Women's and Groms categories and then put into heats of four or five. Once separated into heats we surfed for ten mins each heat. A surfer was awarded 4 points if they were able to paddle onto the wave and front surf. From there, they were awarded extra points for each trick they pulled off. A surfer could only get points one time per trick each ride and riders were allowed 45 seconds each ride. The top three waves of each surfer were added up for total points. This event seemed pretty well organized. The wave was really soft but there is not much you can do to change the surf conditions. The SUP cross is always an interesting event to compete in and watch. This event was on Sunday and the course was set up through the main whitewater park on class two/three rapids. During the pre-racer meeting, almost all of the competitors were confused about what the course was. The course was set up using the gates hanging for the kayak events. The gates were numbered and I personally found the course easy to remember and follow. The racers were put into Men's, Women's and Grom's classes. Then, the racers were put into heats of four racers top two finishers moved onto the next round up until the finals. If a racer missed a gate they were bumped down a finishing place. This event is exciting because racers bump and slam into one and other as they make their way through the course. It tests a paddlers skill to paddle through whitewater as well as a paddlers balance and speed. To make the course easier for paddlers and spectators to follow, it would be nice to set out buoys specifically for the SUPcross race. I enjoyed how the awards for the flat water race was right at the race venue shortly after the event. The awards for the river events were at different venues after the races were long over. I do think a good after party is a great way to end an event however, I think that the awards should be at the same venue as the race. I also think that the awards should be held within a reasonable time after the race has finished. I thought that the Saturday night awards were at six pm and they didn't start until close to eight thirty. I think it would be nicer to have the awards at the venue shortly after the event has completed. I did get the vibe that they were trying to bring the town closer to the event which was pretty nice. I competed and won the first ever Golden Games down river race. This event has come such a long way and the number and skill of competitors has dramatically increased over the last few years. This is a great beginner friendly event. To help this event in the future, I believe this event will have to choose what kind of competitors they want to draw to the event; if they want to draw in novice paddlers or if they want to appeal to the more elite paddlers. The downriver was a way too easy race while the SUP cross was more difficult. I would like to see the downriver longer and more challenging just as the SUP cross was more challenging. I would like to thank The Golden Games for hosting SUP events! I would also like to thanks the event organizer Morgan Mason for helping put everything together for the event. I look forward to participating again next year.